You won’t find Piro Wine Company among the sprawling properties that line Foxen Canyon where tourists flock to gather up logo-stamped merchandise and Instagram themselves lounging on luxurious patio furniture. And for now, Marc Piro is happy with that. Inside Au Bon Climat, a short turnoff from Santa Maria Mesa Road, wine barrels are stacked high. The kitchen, where the winemakers and crew prepare their daily lunches, is overflowing with olive oils, seasonings, empty wine bottles, and more. A warm, lived-in feeling permeates the atmosphere. Don’t expect to find Marc Piro sitting behind a desk. The Santa Maria winemaker said he prefers working with his hands and spending his days in the field. Piro, shaggy-haired and comfortably dirty from a long day, is letting me sample some of his hard work, something I’ve been looking forward to for a while. I was originally introduced to Piro Wines at an event at Presqu’ile Winery, where Piro buys some of his grapes. His wine was instantly buzzworthy, unique, and distinct from an already crowded field of excellent high-caliber pinot noirs. Climbing to the top of a stack of barrels that almost reaches the ceiling to get me a sample, Piro looks completely at home. When he’s not racking wines or inspecting fermenters, Piro likes to spend time at his Los Alamos home, practicing on a brand new drum kit miles away from the nearest neighbor. To introduce his 2015 Points West pinot noir, Piro jumped into a cage in the shark infested waters of the aptly named Shark Alley in South Africa, bottle in hand. He’s the perfect embodiment of a true California winemaker—worldly, wild at heart, yet firmly planted in the religion of soil and vine. Born in San Rafael, Calif., Piro grew up a stone’s throw from Napa’s wine country. He said the aesthetic appeal of growing up in wine country and the allure of the vintner life had a pull on him early on. 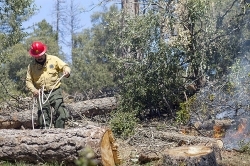 Piro considered attending Cal Poly San Luis Obispo and studying viticulture and enology, but when he was accepted to the University of San Diego, he thought it was a better fit. The business major dabbled in beer making when he was in college but was quick to realize what his true calling was. Marc Piro, 31, owner and winemaker at Piro Wines learned winemaking all over the world, including New Zealand, Australia, and Argentina. Today, he works at Au Bon Climat winery in Santa Maria, producing about 500 cases a year of pinot noir. After graduation, Piro embarked on a worldwide jaunt that took him just about everywhere wine grows, including Argentina and New Zealand. In New Zealand, he worked a graveyard shift just so he could claim his first job title in the winemaking business. The work in New Zealand involved cranking out a lot of sauvignon blanc, a wine popular on the global market. Gigs in New Zealand eventually brought Piro back to the U.S., where he took a job at Thacher Winery. It was there that he met legendary winemaker Santiago Achával, founder of the Achával-Ferrer Winery, who offered him a job in Argentina. 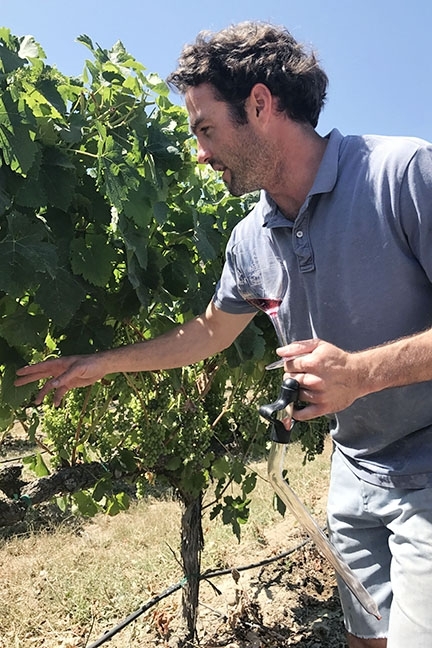 A 2012 Jimmy Mancbach Memorial Scholarship brought him again back to the U.S., where he landed at Au Bon Climat and Qupé for the first time, doing harvest work. 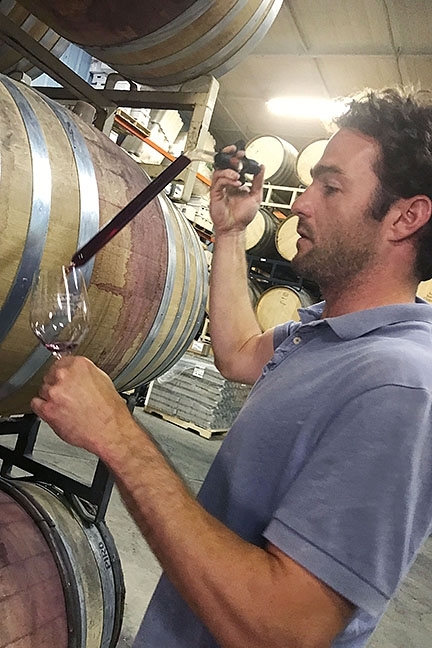 Something about the up-and-coming winemaker must have stuck because after Piro had left (to work at a winery in Australia), he reached out to General Manager Jim Adelman for help tracking down another potential job. To contact Marc Piro or purchase Piro Wines, visit pirowinecompany.com. Adelman had a better idea. He offered Piro a job back on the Central Coast, and he’s been at Au Bon Climat ever since. Piro is an old soul winemaker, with his heart firmly planted in the soils of Burgundy, France. It’s this fondness for the classics that steers his winemaking instincts. All of the grapes used to make Piro Wines come either from Runway Vineyards (former Lt. Gov. Abel Maldonado’s vineyard) or from Presqu’ile Winery in Santa Maria. By 2014, Piro decided it was time to do what he’d set out to do years ago and launch his own label. Armed with confidence in his winemaking skills and the savings to invest in the project, he released his first 100 cases of pinot noir. Just three short years after the initial 100-case run, Piro is up to about 500 cases a year, and still expanding. Along with an online shop and collaborations with some local retailers locally and in Los Angeles, Piro’s wines are also now served at Barbareño in Santa Barbara, where he also recently participated in his first ever winemakers’ dinner. As for the future, Piro has an eye on the possibility of opening a tasting room. But for the time being, he’s perfectly happy roaming the halls of Au Bon Climat, where he serves as a “jack of all trades,” for the winemaker. “I really enjoy working here,” he said. “I don’t feel like leaving anytime soon. It’s healthy, they let me make my wine here, and it inspires me to do a good job with making their wine. Arts and Lifestyle Writer Rebecca Rose does not go where there are sharks. Contact her at rrose@santamariasun.com. 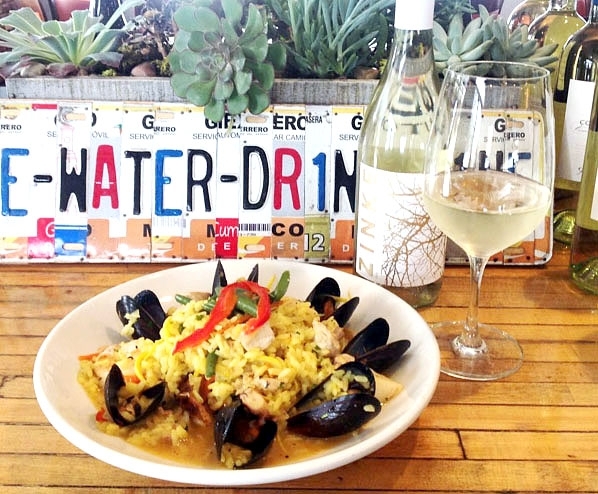 Paella is the summer special at Scratch Kitchen in Lompoc. • Bacon & Brine has a new cotton candy collaboration with California Spun, a Central Coast company, crafting organic, artisan cotton candy. Right now they have two signature flavors available for sale, “Bacon” and “Salted Caramel Bacon.” Sample both flavors at 1618 Copenhagen Dr., Solvang. • Scratch Kitchen is serving paella (paella) for a limited time to celebrate the summer (and because paella is awesome). It’s hard to imagine eating anything better than freshly prepared paella made by Chef Augusto Caudillo, so get it while you can at 610 N. H St., Lompoc.